President Donald Trump has nominated economist Steve Moore to serve on the Board of Governors of the Federal Reserve. That immediately aroused a scandalous attack on Steve Moore that questioned his credentials as an economist, his past economic predictions, his ability to serve in government and the grip on reason of President Trump. I first met Steve Moore at an event conducted at his home in 1999 when he launched the Club for Growth. That organization became “the” advocate for what we know as “Supply-side Economics” and continues today to hold the feet of elected officials and aspirants to public office to the fire of economic common sense. In 2009, Yorktown University organized a day-long presentation on the topic of Supply-side Economics at “FreedomFest,” on July 9-11, 2009, at Bally’s Events Center in Las Vegas. Steve Moore, Alan Reynolds, Richard Rahn, Steve Entin, George Gilder and Mark Skousen explained economics from the Supply-side to an audience of seventeen hundred attendees. 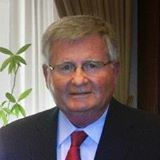 This link will take you to a recording of what these two stellar economists, Richard Rahn and Steve Moore, said at FreedomFest a decade ago. Loss of Country: Countries can be “lost” by invasion and by changes in the beliefs of members of society. Due to the influence of “Progressive” educators beginning at the end of the 19th century college education in the United States effectively changed the manners and mores of American higher education and those changes seeped into the lives of the American people. The principal cause of loss of our country today is our failure to educate college students in their responsibilities as citizens of a self-governing democracy. This self-inflicted wound began many years ago but accelerated during the 1960s and early ’70s when required core curricula were removed from colleges and universities. Future Presentations: We hope to follow these presentations with a Webcast with Dr. Angelo Codevilla that examines Immigration Before 1965. Since 1965, Americans have been living with an immigration system very different from any in U.S. history. To appreciate how different, it is useful to look at what it replaced. Since ’65 was a long time ago, and most who lived under prior immigration law are dead, there is very little direct knowledge of the previous system among us. I, who emigrated to America on August 8, 1955 into New York harbor past the Statue of Liberty as a thirteen year old, and cursed as I am with a good memory, am one of the few remaining who experienced the kind of immigration that helped to make America great. I propose to give recollections of the process I underwent to qualify for entry, of the trip, of the country I found, and of the adjustments I had to make. I propose also to share my adult reflections on the differences between immigration then, and now. B.S. is an abbreviation of Bachelor of Science, but in the case of Charles Sykes, that abbreviation stands for that smelly stuff that bulls in fields drop with abandon. To be fair, I do not like Charles Sykes who gave every appearance of being a traditional conservative when, in 1990, he published The Hollow Men: Politics and Corruption In Higher Education. During the 27 years from publication of The Hollow Men and his participation in a conference organized by University Professors for Academic Order to his latest book, How the Right Lost Its Mind, Sykes has gone soft. I detected Sykes’ true colors when I asked him to mention my new conservative university in his daily radio program on Milwaukee’s WTMJ. No interest. During his career, Sykes has kept his distance from himself and political conservatives and is now firmly in the Progressive Left orbit of MSNBC where he appears daily and is described as a “Conservative talk show host and self-professed ‘Never Trump’ crusader.” MSNBC and CNN apply the word “conservative” to negative anti-GOP commentary in order make it palatable. Charles Sykes has now launched “The Bulwark” which gives the impression that this is a sequel to The Weekly Standard. The Bulwark is a project of Defending Democracy Together whose directors include Bill Kristol, Mona Charen, Linda Chavez and others with Republican credentials. I’m glad for Bill Kristol that he has been able to get Sykes to make a commitment–to something other than himself. But, Sykes’ participation in a third formulation of Neo-conservatism from its origination in the 1970s to the publication of The Weekly Standard in 1995 places the Neconservative banner on weak ground. But, at least now there’s a place we can track the ideas of pseudo-political conservatives like Charles Sykes.